High speed, dual band 300+867 Mbps 802.11ac mini cloud-managed access point with 802.3af PoE and passive 24V PoE support, dual Gigabit Ethernet ports and four internal antennas. 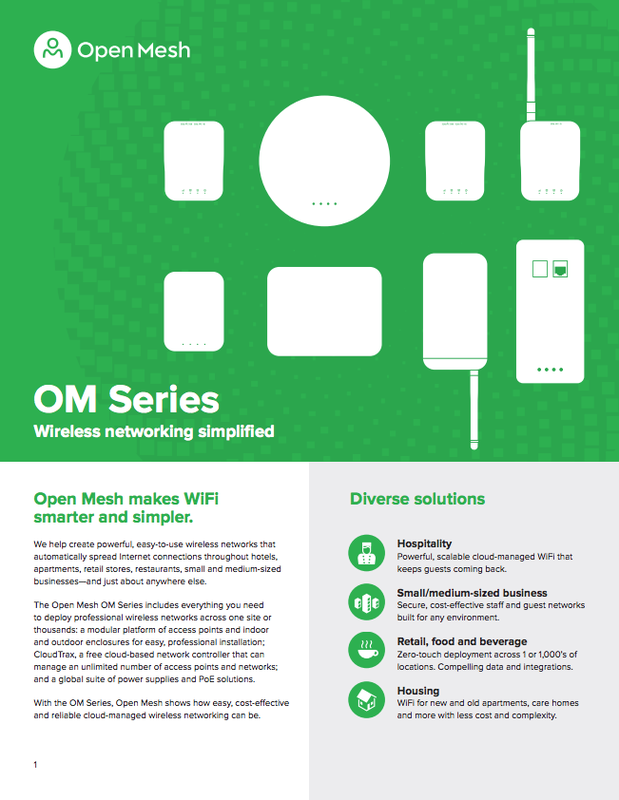 The OM5P-AC features both standard 802.3af Power over Ethernet (PoE), so you can run it off a PoE switch, and passive 24v PoE, so you can use our PoE injectors. It’s also compatible with the 24v universal power supply. The OM5P-AC is available in a 2×2, 1.17 Gbps MIMO configuration for exceptional speed over short distances in dense environments.